KoopaTV: Team Rocket Descends on Boston! You really think all of the multitudes of Heatran, Landorus-Therian forme, and Aegislash present care about those bullets? They're also going to have to compete with Blastoise, which literally has cannons on its back. Cannons beat rifles, last I checked. 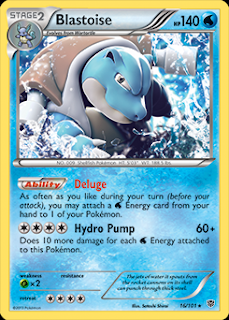 And since Blastoise was the winning deck, nothing beats cannons. So yeah, these guys are dumb. Pokémon need to beat Pokémon. That's something Team Rocket is pretty bad at realising, repeatedly trying to use non-Pokémon means to acquire more. This leaves their own Pokémon rather weak. We suspect, allegedly, that Stumbo and Norton were Team Rocket members! Stumbo is gonna get made fun of for that hair, instead of what he should be made fun of for, which is his last name. I shouldn't be too hard on these guys. I realised that they're pretty much KoopaTV's target audience. 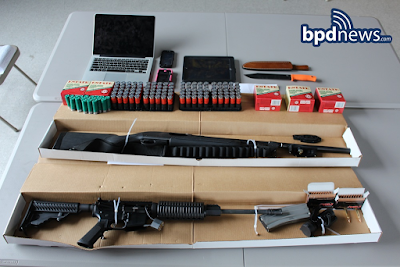 They're super-big Pokémon fans that are members of the National Rifle Association! So I'll give them the benefit of the doubt that this is all some kind of... misunderstanding. Norton also likes some conservative pages on Facebook. This also proves Rand Paul right — when the NSA was still collecting mass collections of data, they totally failed to stop the Boston Marathon bombers. After the NSA lapses that activity and collects more information on terrorists and less on innocent Americans, law enforcement has a much more targeted and focused view of criminal activity. And so they actually stop a tragedy before it happens, which is generally what people want. So basically: National Security Administration: 0. Targeted Constitutional investigation: 1. And that's replicated across the country, with the NSA's mass-surveillance never having stopped a single attack anywhere. We'll also keep an eye out for the conclusion of Norton and Stumbo's bumbling misadventures. 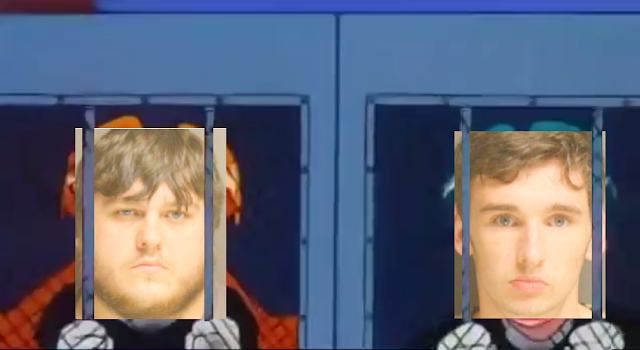 If they ever get out of jail, we'll try to get 'em to be KoopaTV readers! They'd enjoy it. And if they're not interested in that, then they can go rot in there for all I care. One last note: This story was plastered all over the ordinary news media. And none of them wrote Pokémon. They all missed the accent, whether it be the Boston Police Department or the Washington Post — which quite frankly wrote a very insulting (to Pokémon fans) piece about this. If there is a party to this more dumbo than Stumbo, it's the media. But that's nothing new. Ludwig is hard on crime and big on liberty. 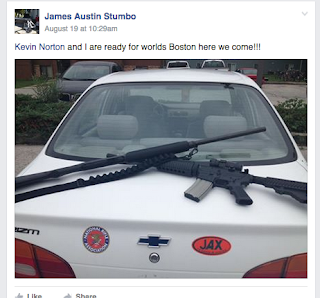 Hey, Kevin Norton, you seem like a relatively decent guy. Quit Team Rocket and join KoopaTV! Meanwhile, if any of you think Ludwig is an idiot, feel free to say so in the comments. He's too much of a scrub to compete in tournaments like that. There's nothing wrong with having your own guns to protect yourself. Don't just rely on Pokémon. I dunno if I'd take them in, being a former member of Team Cipher. Y'know? I'm a former member of Neo Team Rocket Elite! We prided ourselves on that "elite" bit. But hey, standards are decreasing pretty rapidly across the world. So I'd let 'em at least be readers.